THE BLUE SHIRT. FOR DOCTORS AND SCIENTISTS. 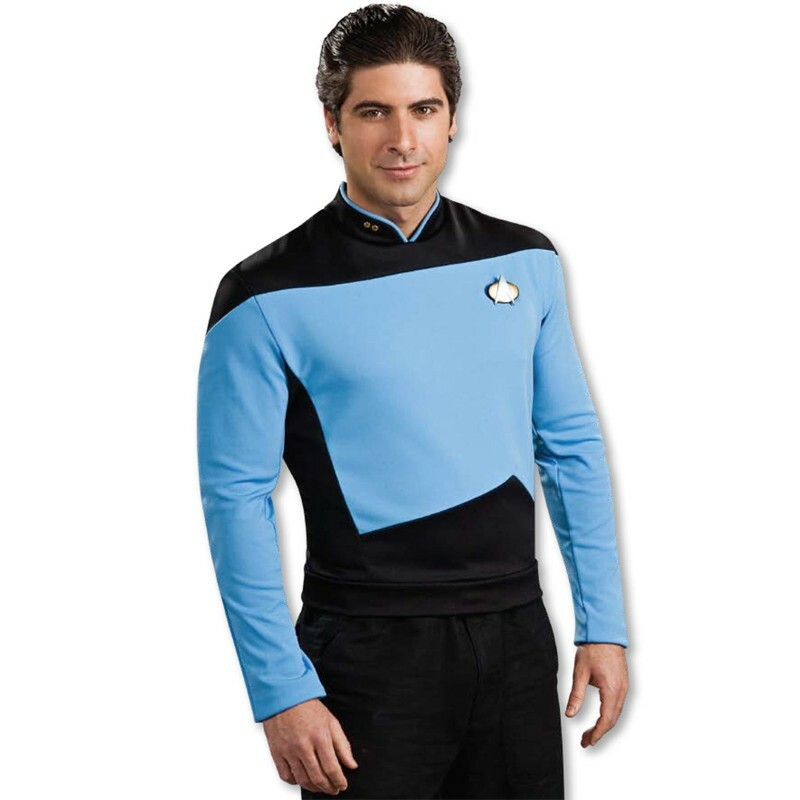 Blue is the Star Trek Next Generation color worn by the great physicians of Star Fleet. This costume includes the black and blue shirt featuring fine panel detailing, pips, and a Star Fleet insignia communicator pin. Wear yours with great pride! Includes: Shirt, Pips, and Pin. See our full selection of Star Trek costumes, props, and accessories! Invite friends to dress as Star Trek characters for a great group costume! Remember a wig cap for superior comfort and to keep your own hair in place.